Pension TOMI is situated directly in the picturesque village of Pribylina (768 m above sea level) in front of the entrance gate to the western part of the High Tatras, which is the mountain village of Podbanske (940 m above sea level) and over which dominates the majestic Tatra hill Krivan (2494 m above sea level). 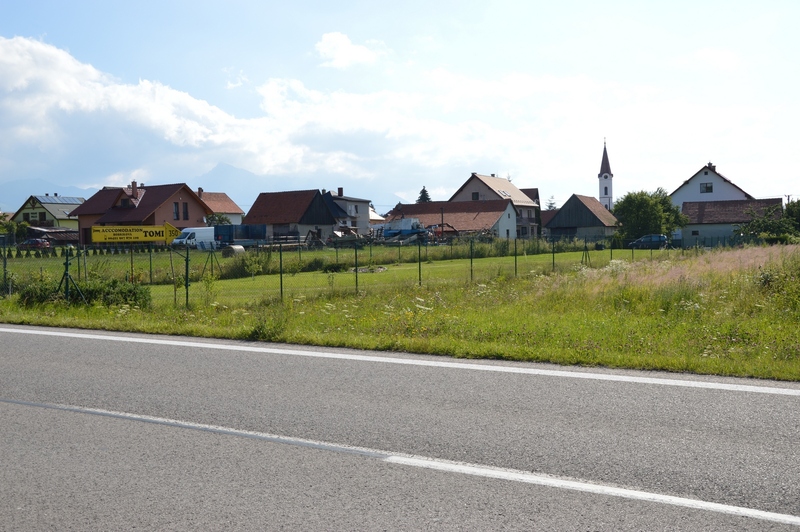 On the way along the D1 motorway turn to Pribylina (direction Podbanske), continue to Vavrišovo, do not turn to the village of Pribylina but continue on road 537 for few metres. On the right side, you will see a yellow arrow here turn to the garden, go through a long grassy area and park your car in the garden behind our house. On the way from the north in the direction of the High Tatrasdo not turn to the village of Pribylina but continue along the road 537, on the left you will see a yellow arrow, turn to the garden, go through the long grassy area and park behind our house in the garden.